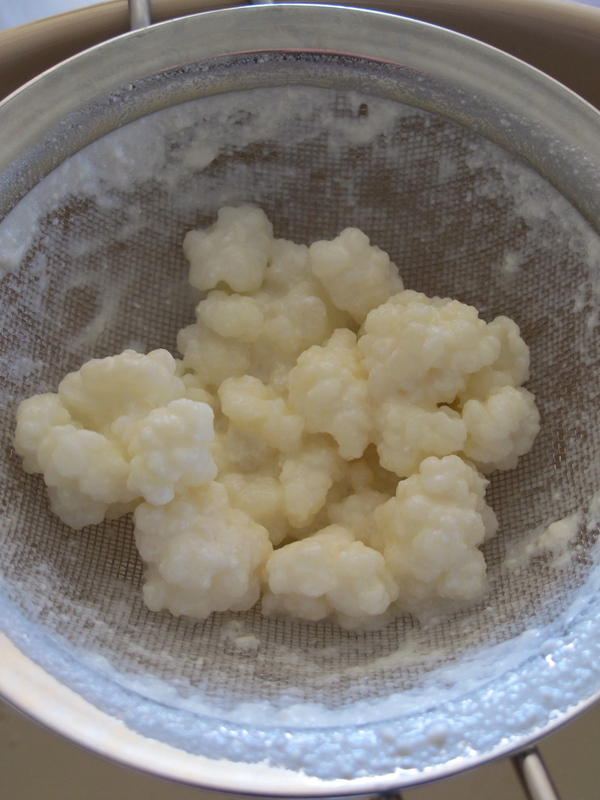 Any kefir lovers out there? You’ll adore Sally’s muffin recipe, which showcases the unique kefir flavour beautifully. It only takes a few hours for them to turn about a litre of plain milk into a wonderful probiotic drink. Well actually, I admit I’m not much of a one for drinking it plain, though I know some people love it. However, I’ve been incorporating the liquid into other dishes such as bread and kefir muffins with lemon and apricot, as in the recipe below. Preheat oven to 170 degrees C. Grease 18 to 20 muffins tins. Place the eggs, sugar, flour, lemon, kefir, lemon juice and melted butter in the bowl of an electric mixer and beat for 2 minutes. Half fill each muffin hole with this batter and place a portion of apricot on top. Leave to stand in trays for 5 minutes, then remove to a cake cooler. Brush with some of the extra melted butter and sprinkle with sugar and cinnamon.